A delegation with members from Edmonton’s Blessed Oscar Romero High School and Our Lady of Guadalupe Parish travelled to Vatican City for the canonization of Oscar Romero, the former archbishop of San Salvador. Pope Francis canonized seven new saints over the weekend, including one with a special connection to an Edmonton church and school. A delegation with members from Edmonton's Blessed Oscar Romero High School and Our Lady of Guadalupe Parish travelled to Vatican City for the canonization of Oscar Romero, the former archbishop of San Salvador. During the mass, Francis praised Romero as a prophet who shunned wealth and stood up for those living in poverty. Romero was shot and killed by right-wing soldiers in 1980 for his defence of El Salvador's poor. 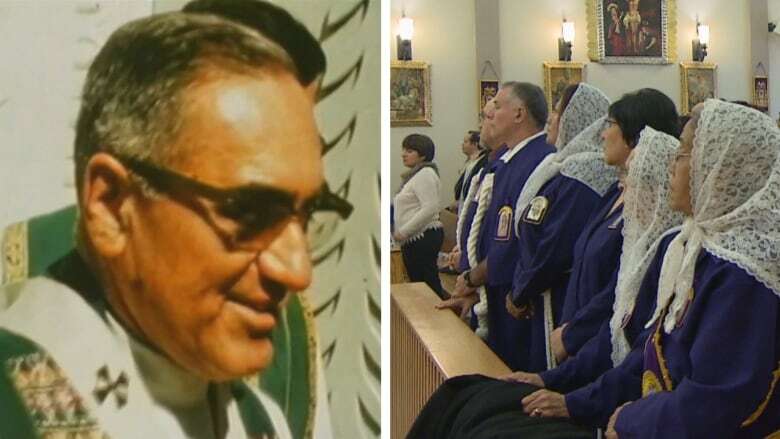 Now, 38 years after his death, the Edmonton delegation is celebrating his newfound sainthood. Joe Gulli, principal of Blessed Oscar Romero High School, was part of the gigantic crowd at Sunday's mass in St. Peter's Square. "Romero was an individual that stood for social justice," he said. "For him, it became about protecting human rights and the most vulnerable people. And he defended those principles of protecting human dignity and opposing forms of violence." Gulli said the school will be renamed in March to reflect Romero's newfound sainthood. 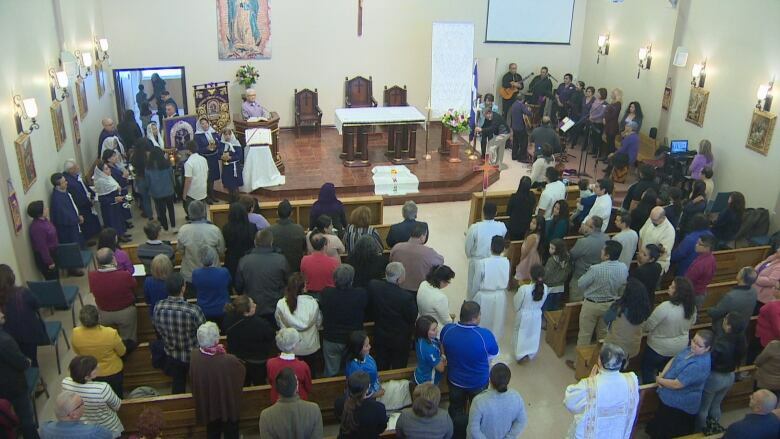 Back in Edmonton, Our Lady of Guadalupe Parish near Kingsway Mall held a mass in Romero's honour. Hundreds of people from Edmonton's Salvadoran community came together in song and prayer, celebrating the saint from their home country. Raquel Valdez attended the ceremony at the Spanish parish. She, like other parishioners, knew Romero while living in El Salvador. Valdez recalled seeing Romero helping poor people in the streets of El Salvador. "I'm so happy, like now we have a saint. Now we have somebody in heaven to help us and ask for peace in our country," she said, highlighting ongoing problems with violence in the Central American country. Alba Gonzalez was still living in El Salvador when Romero was assassinated. She teared up when speaking about his death, but said Sunday was a happy day. "It's amazing. It's happiness because he lives in our hearts," she said. "And now it's like a dream — like a dream that came true."